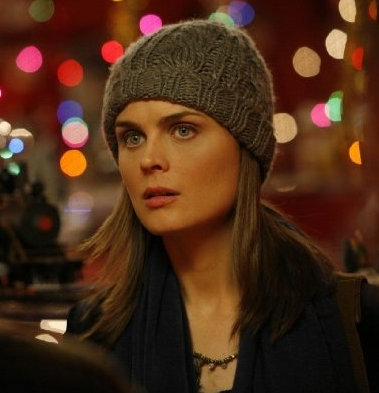 Emily Deschanel is a classical French statue come to life. Seriously, she is GORGEOUS. She can’t be real. Mmmhmm, pull it together, David. 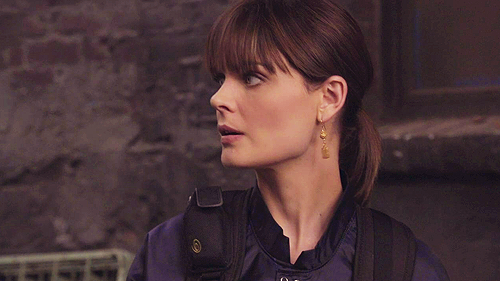 Sometimes, dear Bones stylists, I know that you know this. But sometimes, it’s like you don’t. I know that Emily, as a producer, could end these shenanigans in a snap if she wanted to. But she doesn’t. She might even encourage them, because she’s just THAT cool and confident and committed to her character. 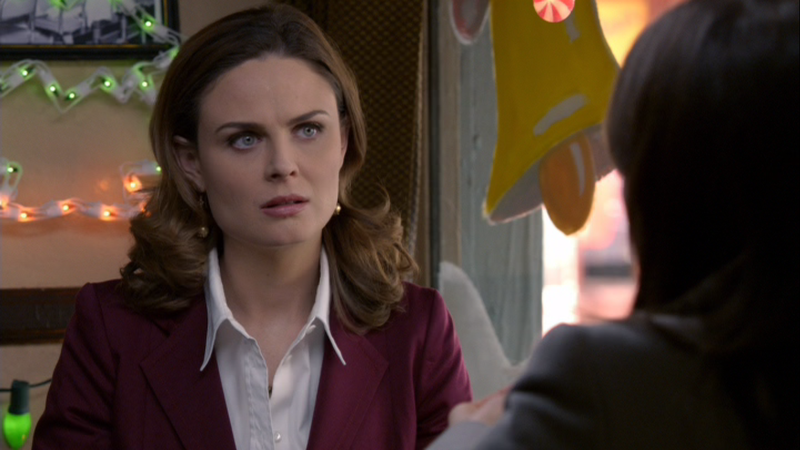 Really, I love that Brennan’s not perfectly styled all the time. But there are days when I want you and everyone to stand up and shout that scientists can be pretty and that’s good too. Brennan doesn’t have to be all fancy in the lab. Ponytails and light makeup go really well with crime scene onesies. (Also, on the serious, THANK YOU for the ponytail. 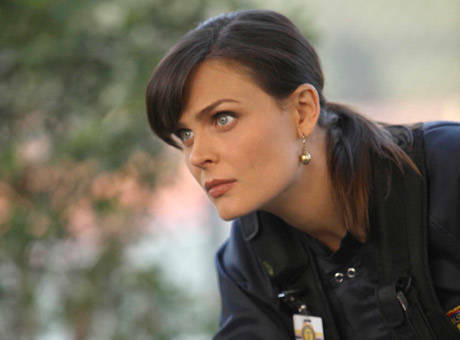 People can’t just go around with their hair down at crime scenes cough cough KATE BECKETT.) Just keep doing it like this. 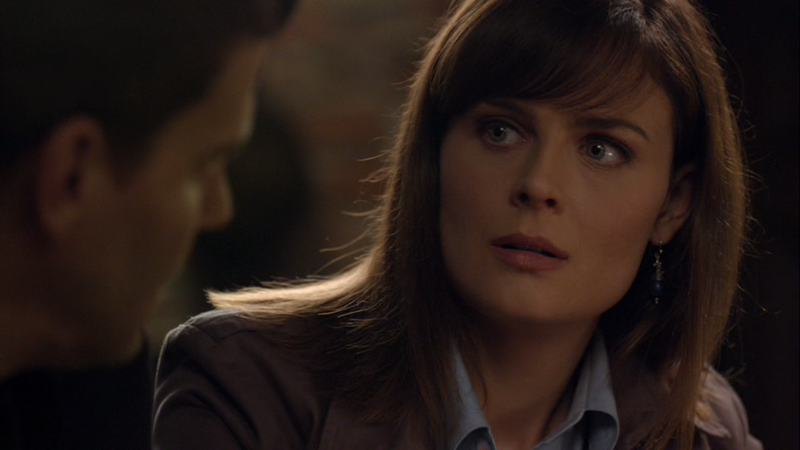 And if you’re trying to imply that Brennan doesn’t obsess about appearance, I like that in my Brennan. Just imply it without going out of your way to murder her appearance. Imply it like this. See, you’ve done it before, lots of times. I believe in you. And as far as David Boreanaz is concerned, you’re doing it right.